Every once in awhile a new idea comes along that is actually a pretty good idea. The tsunami of data that every company is currently trying to deal with has resulted in CFOs coming to the IT department and asking for help. Since in many cases the CIO works for the CFO, you had better be able to solve this data overload problem and do it quick! What Do Dashboards Do For A Company? So why all the excitement over dashboards in the IT sector? The driver behind the current wave of interest in data dashboards is pretty simple – everyone is overwhelmed by the information that is crossing their desk and they are desperately looking for ways to understand what it all means. Since data is at the heart of the definition of information technology, this sure looks like a job for the IT department to solve. Senior executives in your company are looking to a formal, integrated dashboard to enable them to be able to monitor key company metrics. When you get right down to it, the cost of implementing and maintaining a dashboard may turn out to be a cost savings for the company. There are probably a lot of employees who are currently spending a lot of time creating and distributing reports that contain the same information that will be provided by a dashboard. The one key benefit that is driving most companies to implement a dashboard right now is that they view it as a tool that will allow the company to move faster. Companies have lost what little margin for error that they used to have when it comes to responding quickly to unpleasant surprises in their markets. The hope is that a dashboard will provide them with the ability to quickly detect changes and react faster. What’s The Secret To A Successful Dashboard? The idea behind a dashboard is simple, present the results of data analysis. 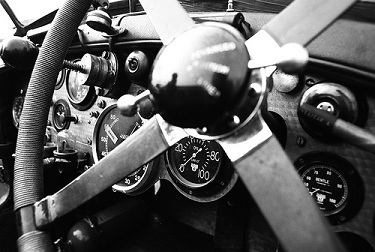 However, exactly how to successfully implement a dashboard is not quite so straightforward. In the past, your senior executives including the CFO may have been content to focus only on the high-level metrics. This could have included such items as sales revenue and profitability. However, things have changed. Now you are going to be seeing requests to provide dashboard access to operational and tactical metrics such as activities in individual accounts. From an IT perspective, the focus is going to be on what kind of tool you’ll be able to deliver. The goal is going to be to create something that will be able to take in large quantities of raw company data and then transform it into useful, actionable information in a timeframe that meets the company’s needs. The ultimate goal here is going to be for you to create a dashboard that is able to combine the worlds of finance and the world of operations. The company’s needs are going to continue to evolve as your management gains experience with the dashboard. They won’t truly know what they want until you present them with something that they can use and which will allow them to refine their needs and desires. Every firm is in the process of trying to wade through a flood of data. They know that the information that they need is in there, it’s just a matter of finding it that is the trick. The arrival of information dashboards may be the solution that everyone has been looking for and it may be a great opportunity to show the rest of the company the importance of information technology in solving this kind of problem. CIOs need to work closely with their CFOs in order to determine the company’s exact needs from its dashboard. Financial metrics are a given, but the question is what if any operational metrics are going to be needed? In the end, the most important thing that a dashboard needs to be able to do is to allow a company to more quickly react to changing market conditions. A CIO who can provide his or her CFO with such a tool will be worth their weight in gold! Question For You: Do you think that it is better to take the time to implement a complex dashboard or is quick and dirty the way to go?